Are social movement organizations euro-sceptical, euro-pragmatic, or euro-opportunist? Or do they accept the EU as a new level of governance to place pressure on? Do they provide a critical capital, necessary for the political structuring of the EU, or do they disrupt the process of EU integration? This book includes surveys of activists at international protest events targeting the European Union (for a total of about 5000 interviews); a discourse analysis of documents and transcripts of debates on European politics and policies conducted during the four European social forums held between 2002 and 2006 and involving hundreds of social movement organizations and tens of thousands of activists from all European countries; about 320 interviews with representatives of civil society organizations in six EU countries (France, Germany, the United Kingdom, the Netherlands, Spain, and Italy) and one non-member state (Switzerland), and a systematic claims analysis of the daily press in selected years between 1990 and 2003. 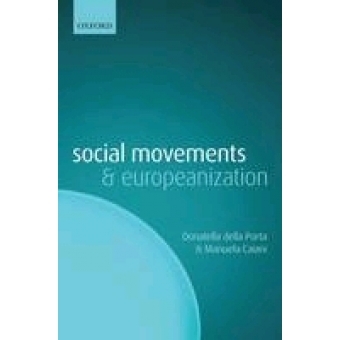 The empirical research shows the different paths of Europeanization taken by social movements and civil society organizations.